VANPORT TWP. 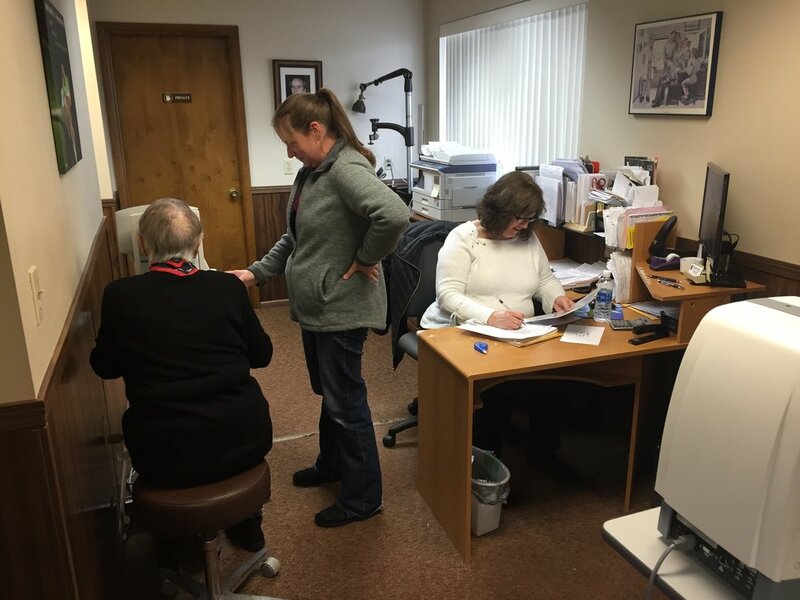 – Guzzetti Optometric Services, 212 State St. in Vanport Township, is an independent practice of optometry celebrating 66 years in business. The practice was established by Dr. Albert J. Guzzetti and is now operated by his son, Dr. John A. Guzzetti. Since 1952, the Guzzettis have provided eye care and service to Beaver County. John Guzzetti has more than 36 years of patient-care experience and specializes in primary care optometry and contact lenses. He and his staff offer eyewear lenses and frames along with comprehensive vision exams; primary and medical eye care; contact lens fittings; cataract, glaucoma and dry eye management; laser vision correction; and sports and sun eyewear. The practice has evolved to include the prescribing of therapeutic drugs for eye care, surgical co-management, retinal photography and specialized glaucoma testing. Guzzetti was named the WPOS Optometrist of the Year in 2011. He also provides consultation and eye-care management for specific patients such as diabetics, arthritis patients on Plaquenil, and those considering eyelid surgeries. A laser vision specialist since refractive surgery was first approved in 1995, Guzzetti has counseled hundreds of patients regarding LASIK, PRK and the newer surgical procedures. The staff consists of Debbie DiBiagio, office manager Melissa Haklo, Susan Kirkpatrick, Jessica Rogan and Lisa Sylvester.